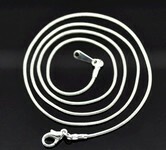 Finished wholesale necklaces. 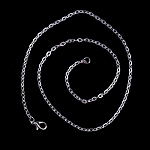 Inexpensive finished chain for craft and fashion jewelry. 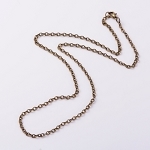 If your making necklaces you obviously need necklace chain, this page contains finished necklaces so the clasps have been added for you. 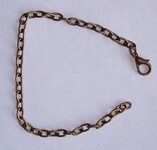 There are a million styles of chain. 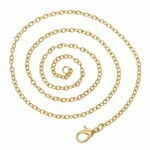 We tend to carry a couple of the most popular. 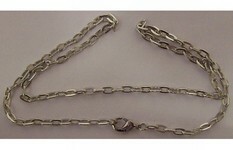 Cable chain, curb chain, snake chain, rope chain and ball chain come to my mind as the most common styles.